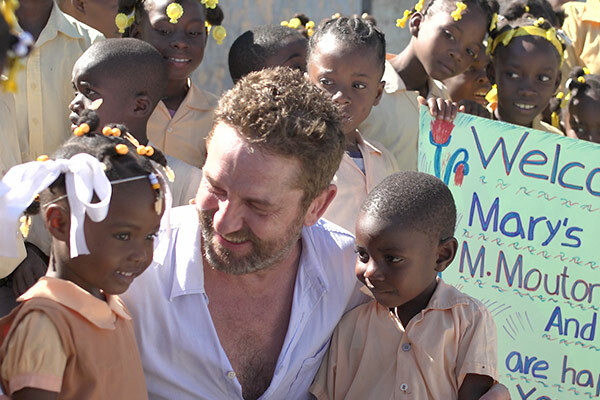 Actor Gerard Butler swapped Hollywood for Haiti, where he shared a meal with children being helped by Mary’s Meals. 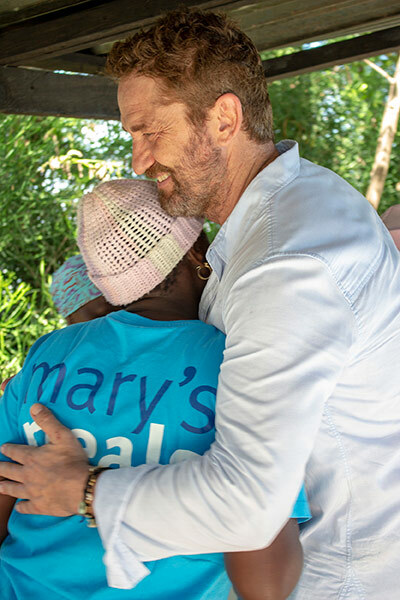 The film star travelled to the Caribbean with our founder and global chief executive, Magnus MacFarlane-Barrow, to see our life-changing work first hand. Gerard joined pupils at École Communautaire Saint Michel de Morne Mouton in the impoverished town of Mirebalais in Haiti’s Central Plateau to try Mary’s Meals’ food for himself and see the difference that nutritious daily school meals can make to whole communities. He said: “Mary’s Meals is such a simple idea. I’m inspired by the genius behind it, and how it promotes responsibility in everybody. It’s a very efficient way to essentially enhance the lives of so many in poor countries and it can be developed and extended so cheaply. Haiti is the poorest country in the Americas – three in every four people struggle to survive on less than $2 a day and more than half the population does not have enough to eat. We work alongside local communities to set up school feeding programmes in areas where poverty and hunger prevent children from gaining an education. 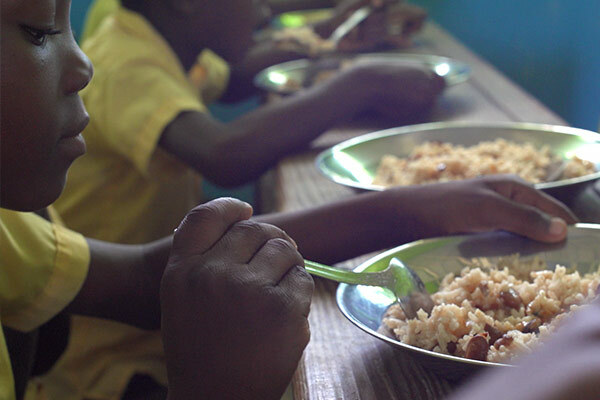 In Haiti, local volunteers prepare a nutritious school meal of rice and beans with a tasty sauce made from vegetables and fish for 41,831 hungry pupils every school day. During the trip, Gerard and Magnus met children benefiting from life-changing food provided by Mary’s Meals at several schools across the country. Mary’s Meals is a simple idea that works. The promise of a tasty meal encourages children – who might otherwise skip lessons to work, beg or scavenge for food – to come to school and gain an education that can provide an escape from poverty. 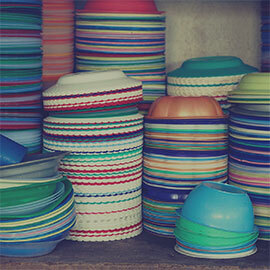 We began feeding just 200 children in Malawi in 2002. 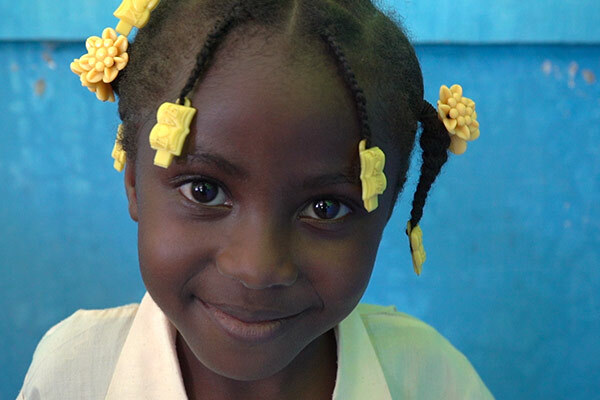 Today, more than 1.3 million children in 17 countries around the world enjoy Mary’s Meals every school day – including 41,831 vulnerable children in Haiti.